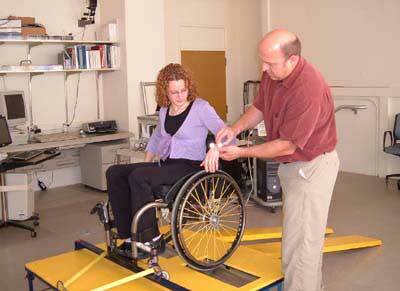 Professor and Chair in the Department of Physical Medicine & Rehabilitation in the University of Pittsburgh, School of Medicine and Medical Director of the Human Engineering Research Laboratories, a VA Rehabilitation Research and Development Center of Excellence and Director of the University of Pittsburgh Model Center on Spinal Cord Injury. 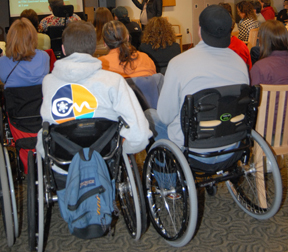 Presented on May 17, 2012 at the University of Washington Medical Center by the Northwest Regional SCI System, Department of Rehabilitation Medicine, University of Washington. You can also watch this video on YouTube, with or without closed-captioning. Will I ever walk again?" 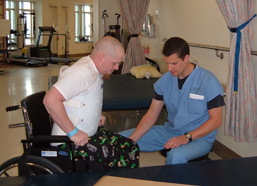 This is frequently the first question a patient with a new spinal cord injury asks. A focus on walking is normal after what can be a devastating injury. However, over time the focus on walking often fades and other issues that impact daily living move to the top of the wish list. Is there peril if individuals with SCI and researchers focus on walking too much? Where should we be putting our scant SCI research dollars? Our guest speaker, Michael Boninger, MD, examines this complex issue from the standpoint of both a dedicated physiatrist who has worked with SCI patients for over 20 years and a prominent researcher seeking solutions to the many problems caused by these injuries.